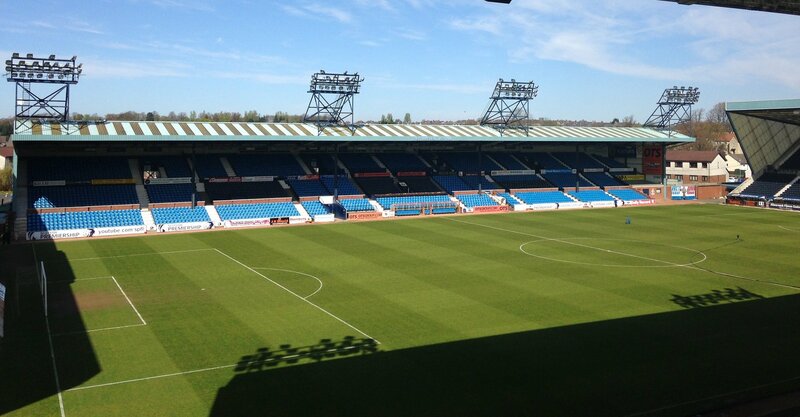 Kilmarnock first played football matches at the present Rugby Park site in 1899. 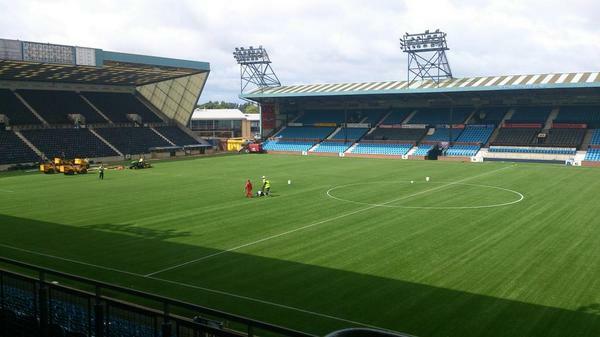 Despite that, the venue is actually Kilmarnock’s fourth home ground. 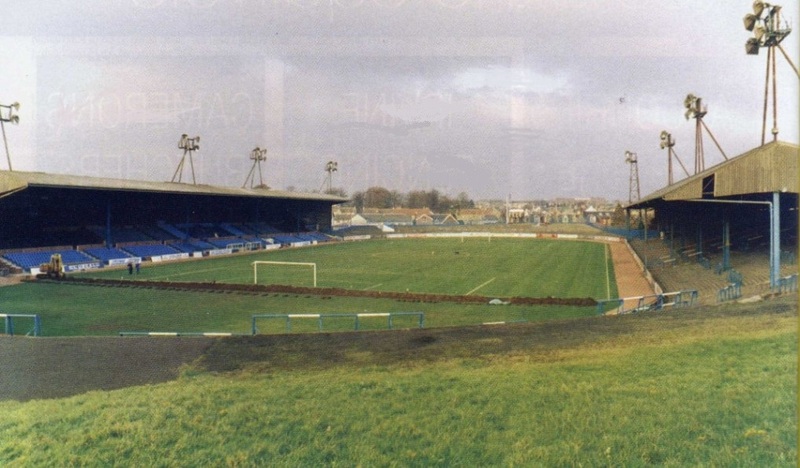 The Grange, Holm Quarry and Ward's Park all hosted matches, before the club moved to Rugby Park in 1877. 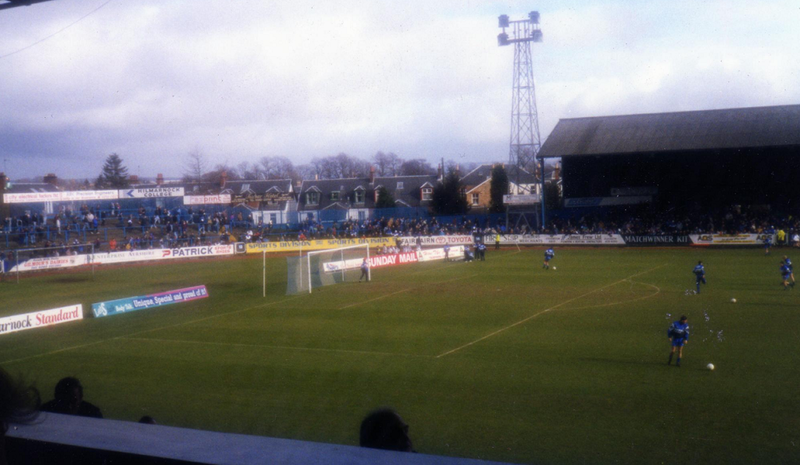 This was not the present stadium, but one situated close by near South Hamilton Street. 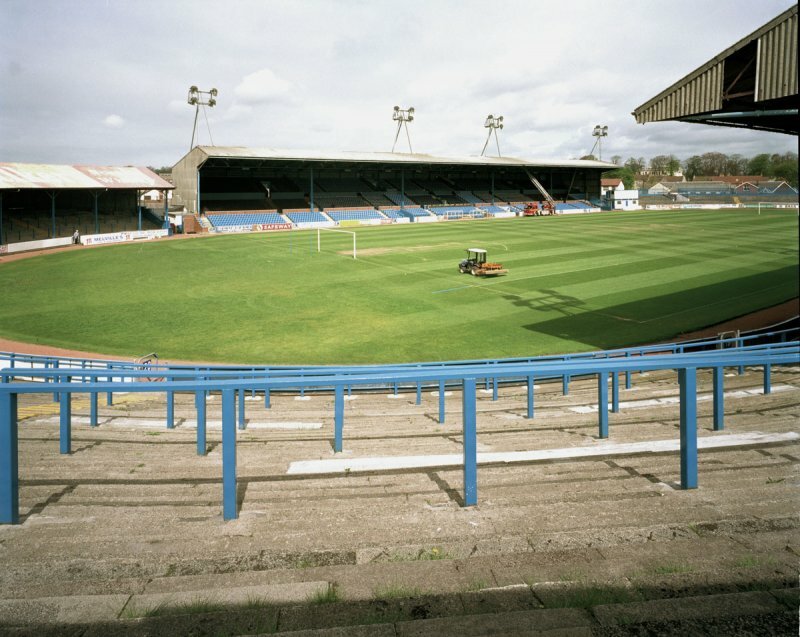 This ground was shared by cricket and rugby teams – sports which Kilmarnock had played previously – and the connection with rugby gave the ground its name. 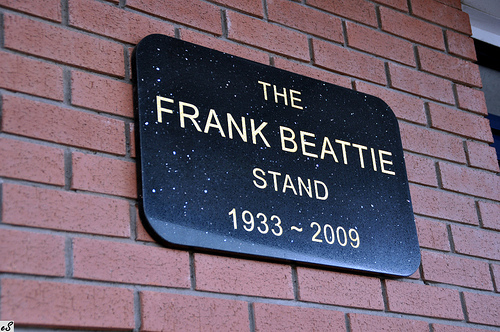 This name was taken with the club when they moved to their present stadium. 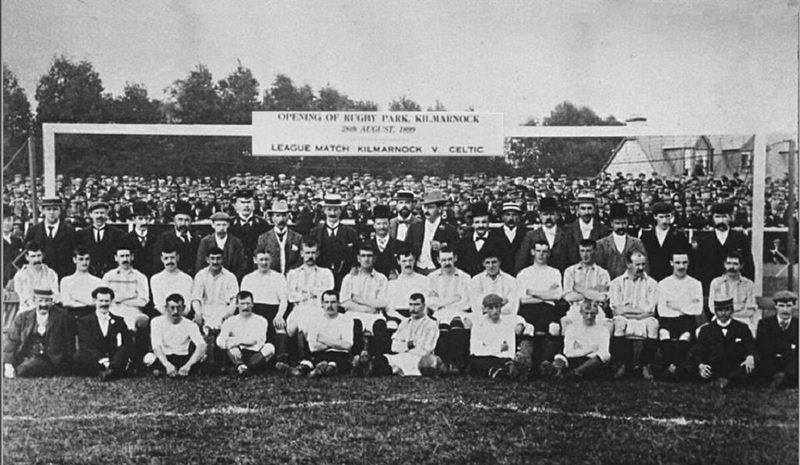 The ground was inaugurated with a match against then-champions Celtic on 1 August, when Kilmarnock fought back from a 2–0 deficit to secure a draw. 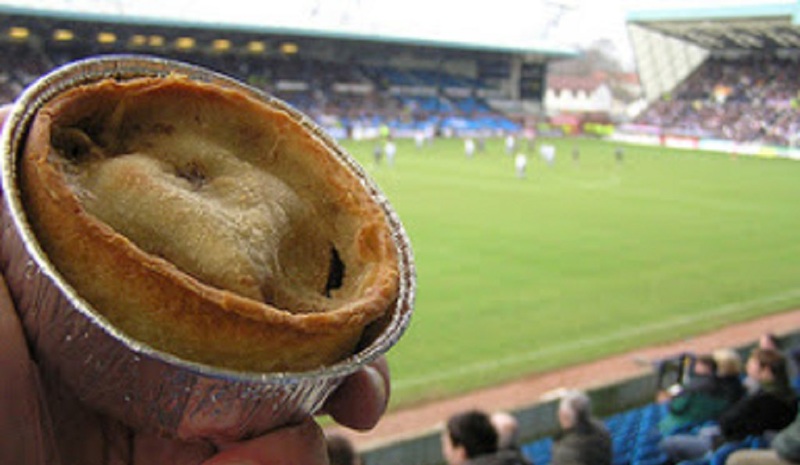 It was their first match in the top tier of Scottish football, having won the Second Division the previous season. 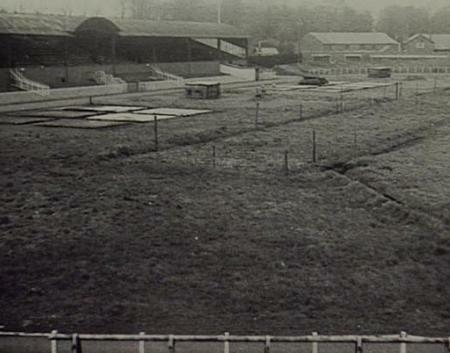 Originally, the ground was constructed with a running track around its edge, a pavilion and a stand along the west side. 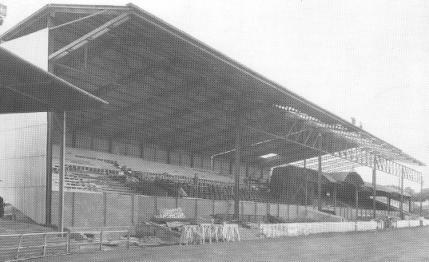 In 1935 a cover was added to part of the south terrace. 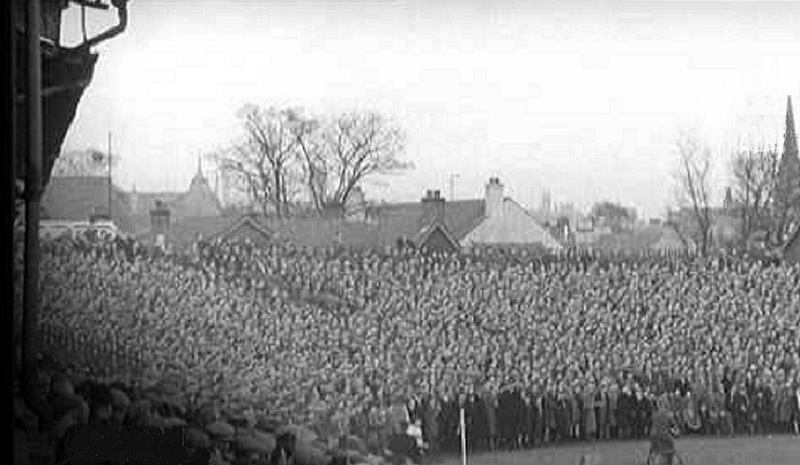 During the Second World War, the army used the ground as an ammunition dump, (see below) as league matches were suspended. 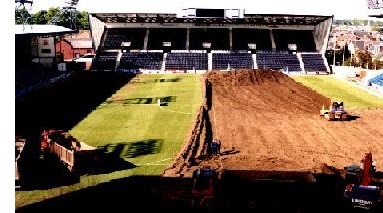 The pitch had to be reconstructed after the war and Italian prisoners of war helped rebuild and extend the north terrace. 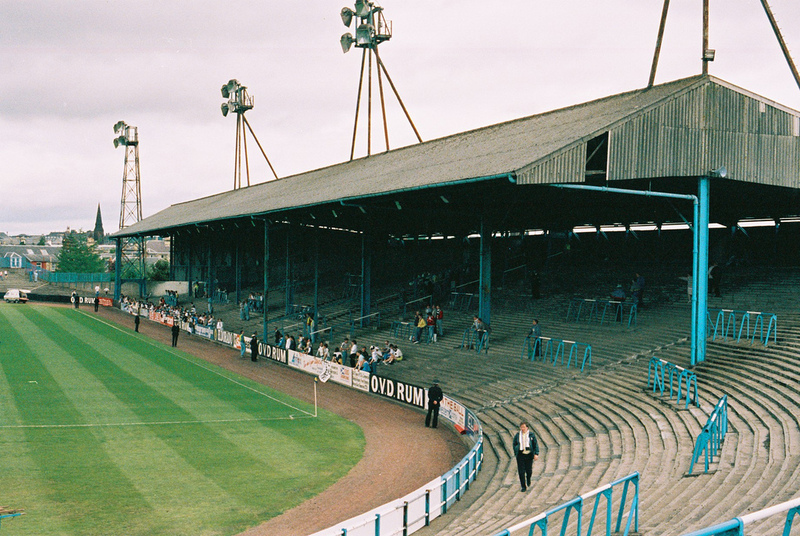 A roof was added to the east terrace in 1959, and the West Stand was renovated during the 1960–61 season. (Below). 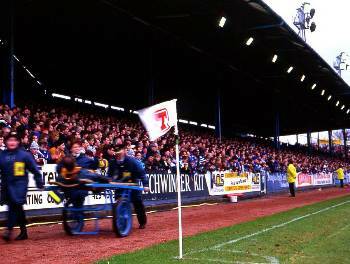 The following season a record 35,995 fans saw Kilmarnock lose 4–2 to Rangers in the Scottish Cup. However, the fans were to witness happier times as the team clinched the league championship in 1964–65. 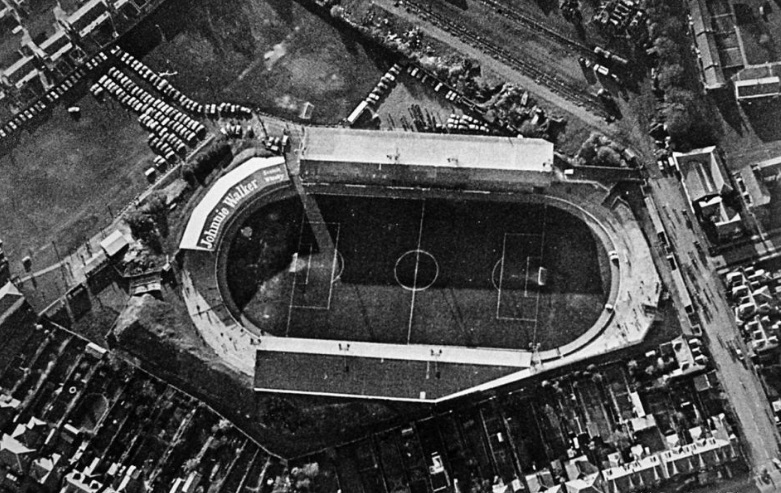 During the summer of 1968 the floodlight system was upgraded to accommodate live television broadcasts. 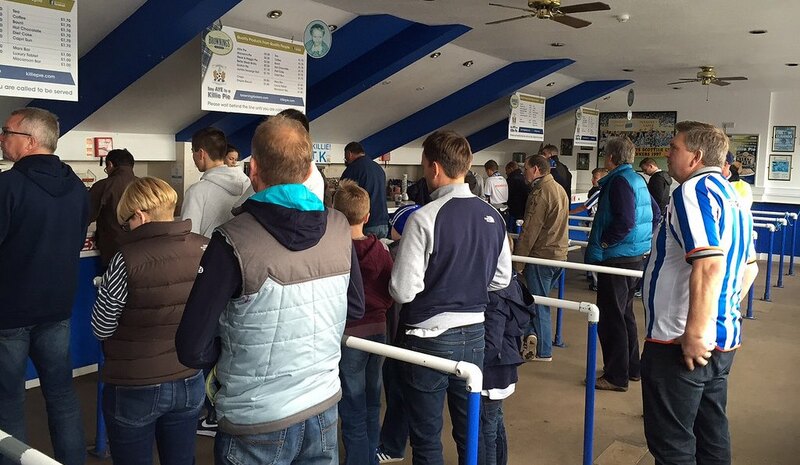 The ensuing years saw little change at the ground. 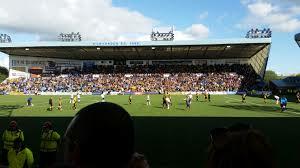 By the early nineties pressures within the game, especially following the Taylor Report, meant that Rugby Park would have to become all-seater. 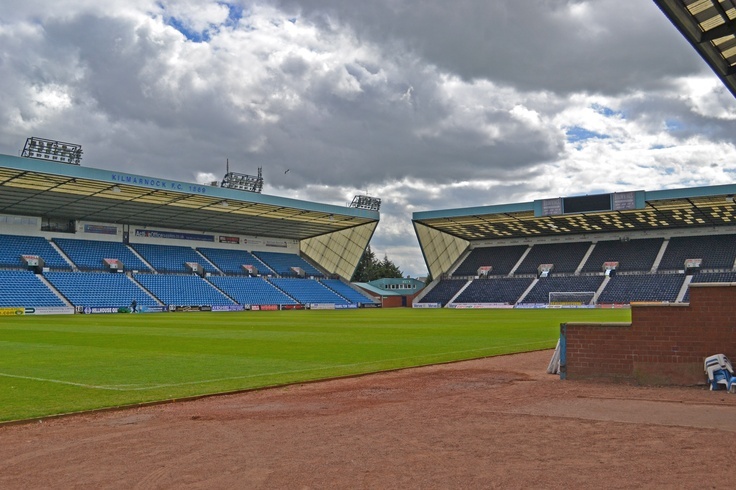 A move to a new stadium was discussed, but rejected in favour of redevelopment. 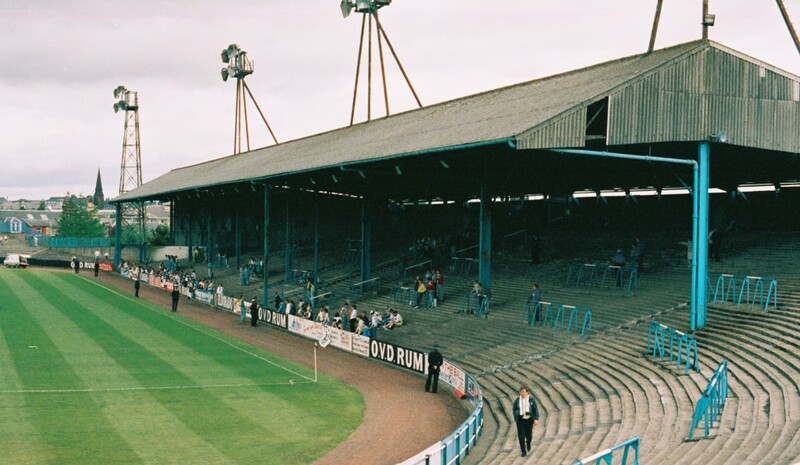 The last game at the before reconstruction was played 7 May 1994, when Kilmarnock beat Rangers 1–0. Building work commenced the next day. 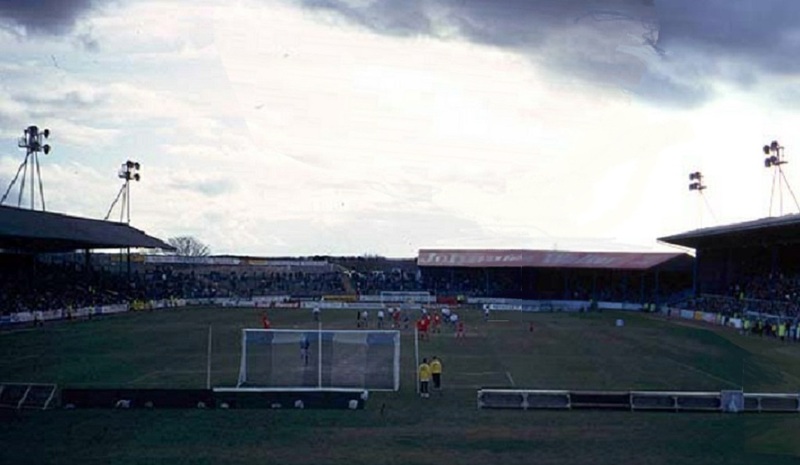 During 1994–95 season the stadium capacity was significantly reduced as three new stands were constructed; the Moffat Stand, the Chadwick Stand and the East Stand. 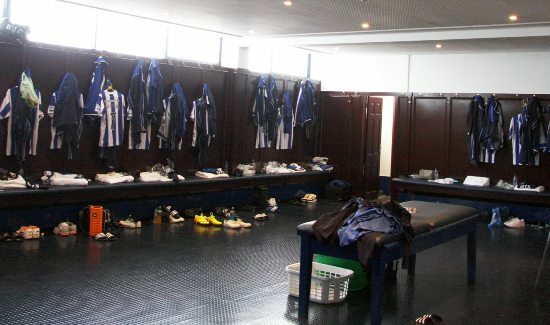 Their completion brought the capacity of the stadium to 18,128. 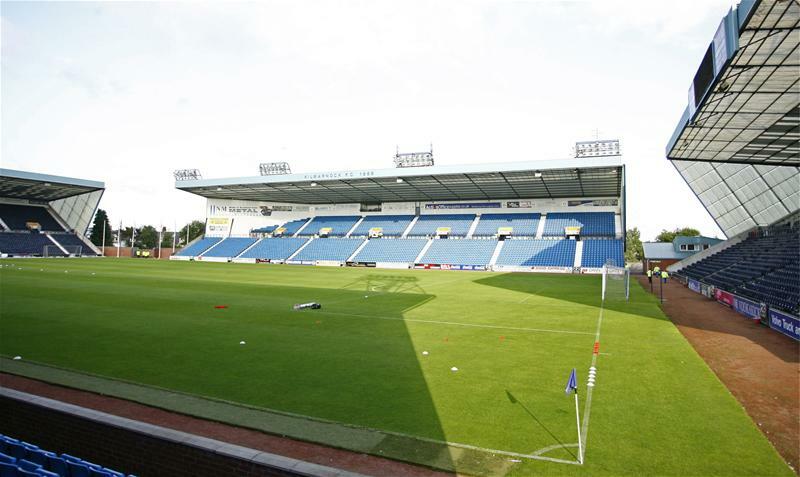 Kilmarnock opened the new Rugby Park on 6 August 1995, in a friendly match against English champions Blackburn Rovers. 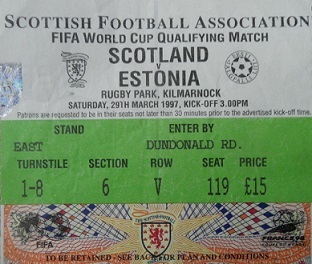 Alan Shearer hit a hat-trick as the home team lost 5–0. 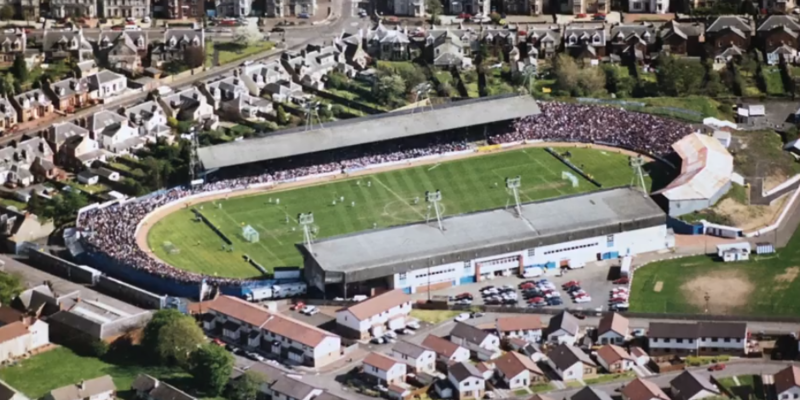 On 12 May 1998 Rugby Park hosted the last ever Ayrshire Cup final, as Kilmarnock fought back from 0–2 to beat Ayr United 4–2. 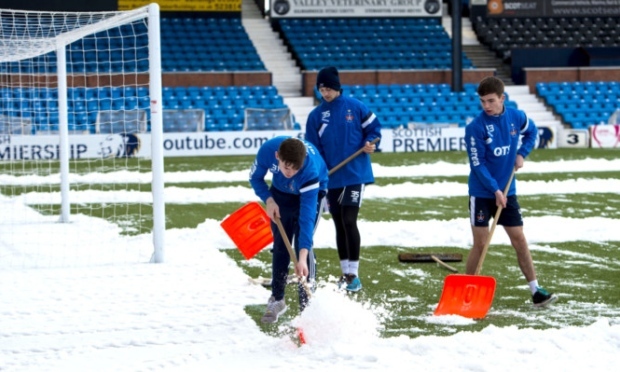 In the summer of 1999, league regulations meant that Kilmarnock had to install undersoil heating at the ground. 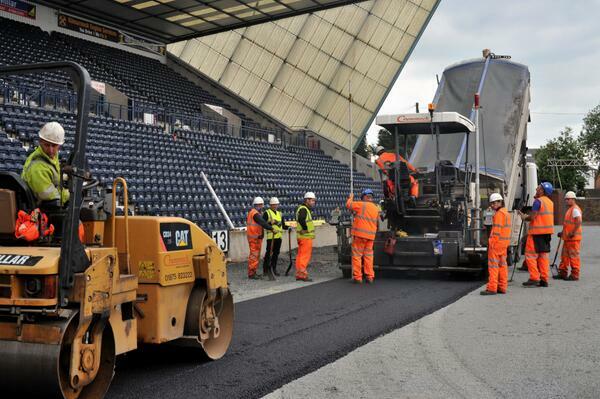 This was the first time the pitch had been relayed in fifty years, and represented the last major development of the stadium. 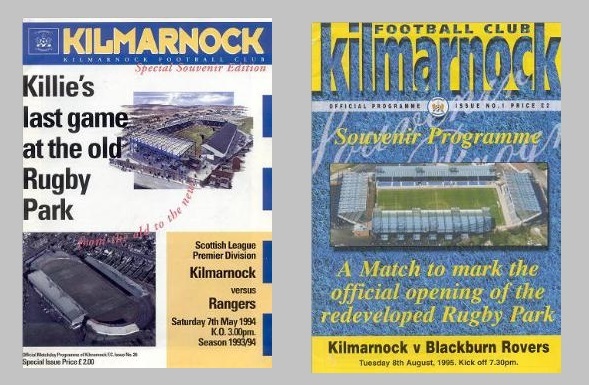 On 26 August of that year, Kilmarnock celebrated one hundred years at Rugby Park with a victory over KR Reykjavik in the UEFA Cup. 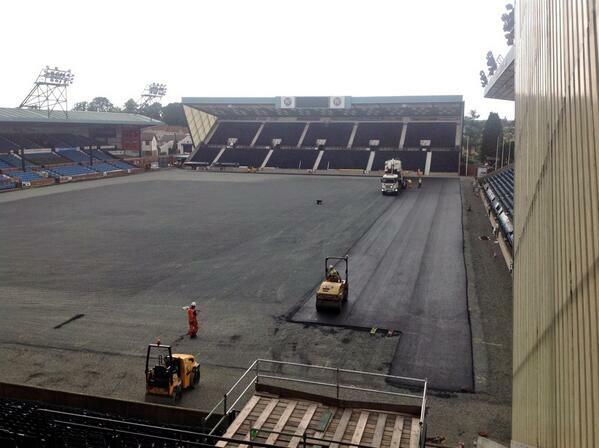 Some work has since been done to increase the revenue created by the ground. In June 2002 the Park Hotel was opened adjacent to the stadium. 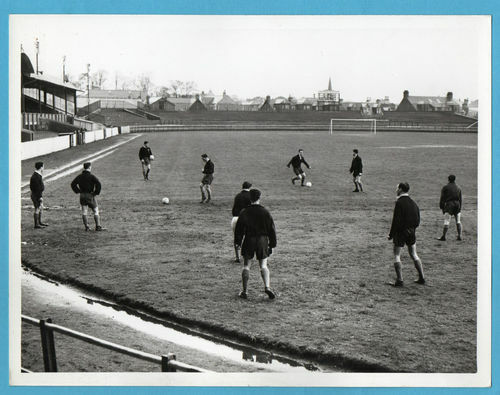 The hotel was built on the site of Kilmarnock’s training pitch. The hotel has fifty twin/double bedrooms, a conference centre, a café bar and a restaurant. 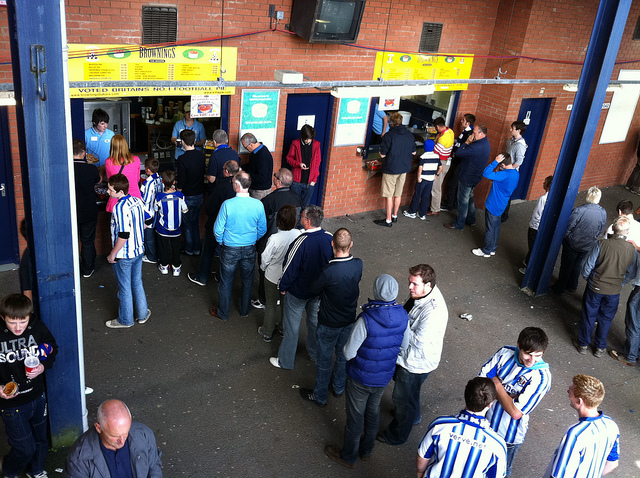 In November 2004 and new sports bar was opened in the West Stand, sponsored by Foster's Lager. 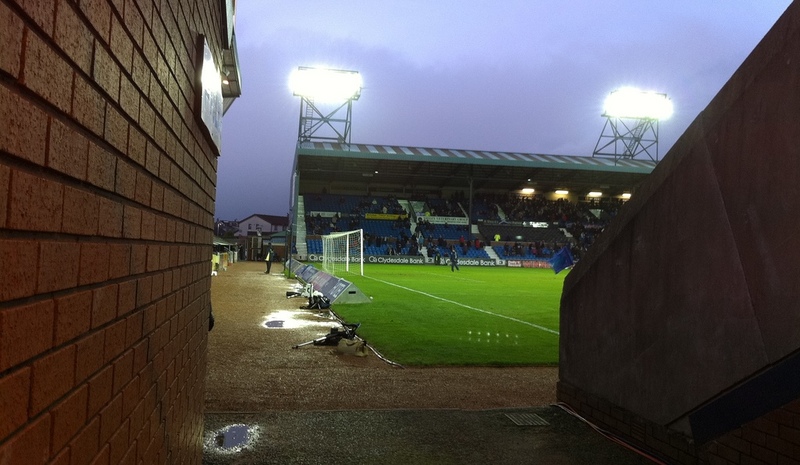 In 2017 then Chaiman Michael Johnston & Director Billie Bowie, restructed the club's finances moving the Park Hotel "out" of Kilmarnock FC's ownership. In July of 2016 Rugby Park hosted its second major concert. 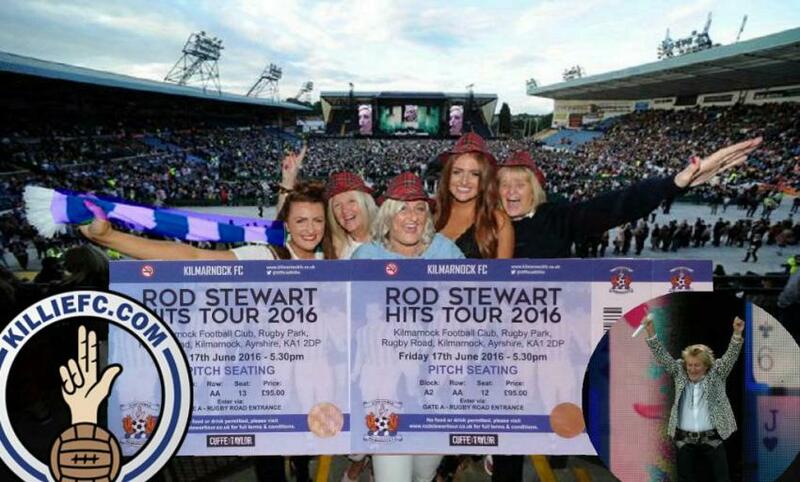 Rod Stewart was welcomed to "Ruggers" in front of 20,000 fans. 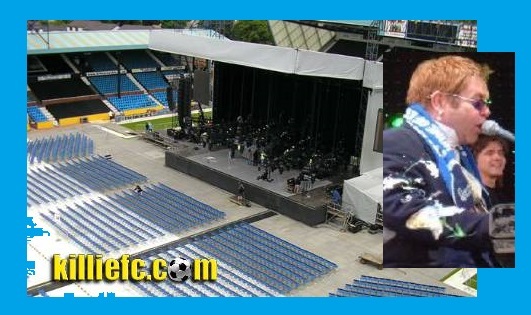 Rod had been preceded by Elton John (above wearing a Killie scarf) who performed in Kilmarnock on June 26th 2005, in front of 15,000 fans. 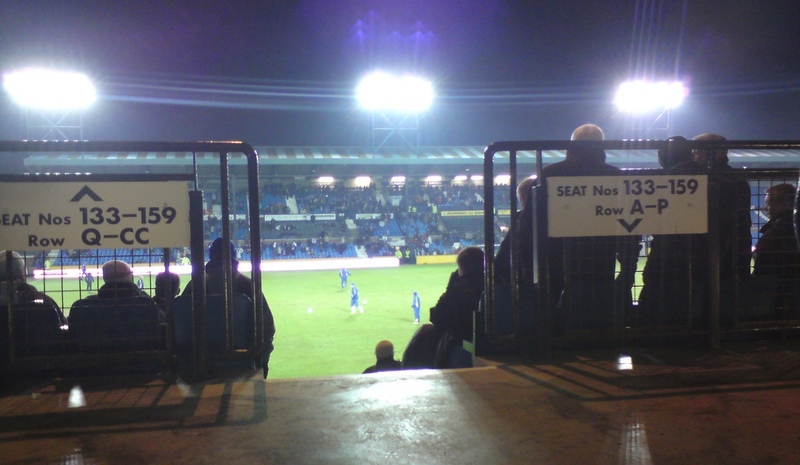 Despite becoming a modern, all-seater stadium, a number of features in the design of the stands give it a unique look. 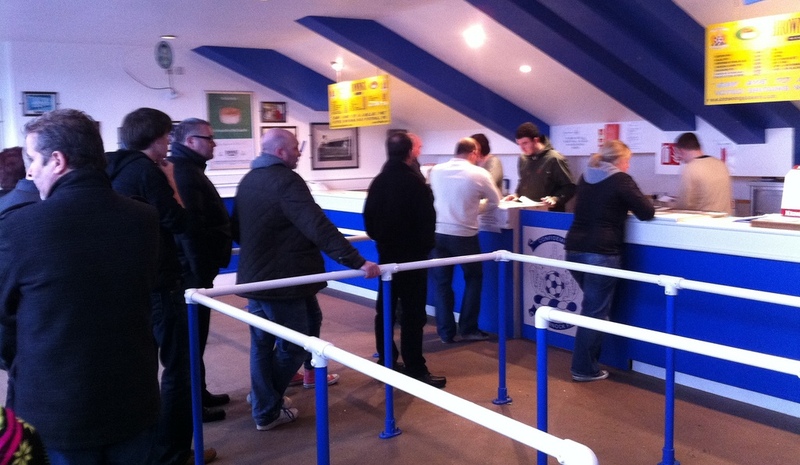 All stands bar the West Stand have very little beneath them, as the tea bars and toilets are located under the lowest possible point towards the pitch. 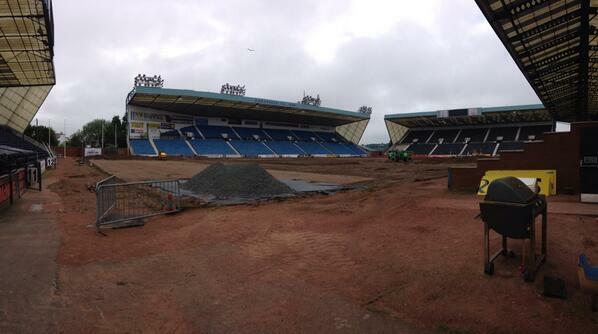 The rest of the area underneath is open tarmac, with the steel framework fully exposed. 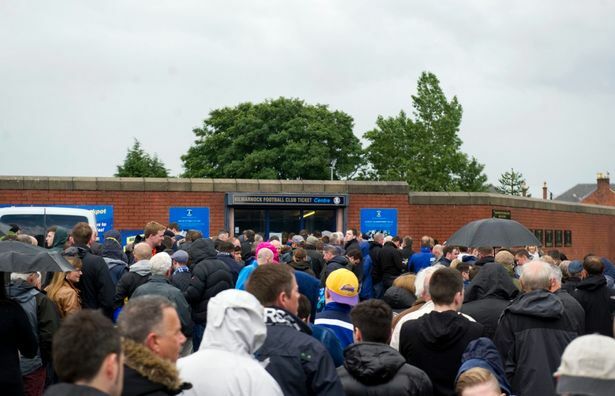 Moreover, the turnstiles for the three newer stands are built into a perimeter wall rather than the stadium itself, and there are very large open air spaces before the stands themselves. 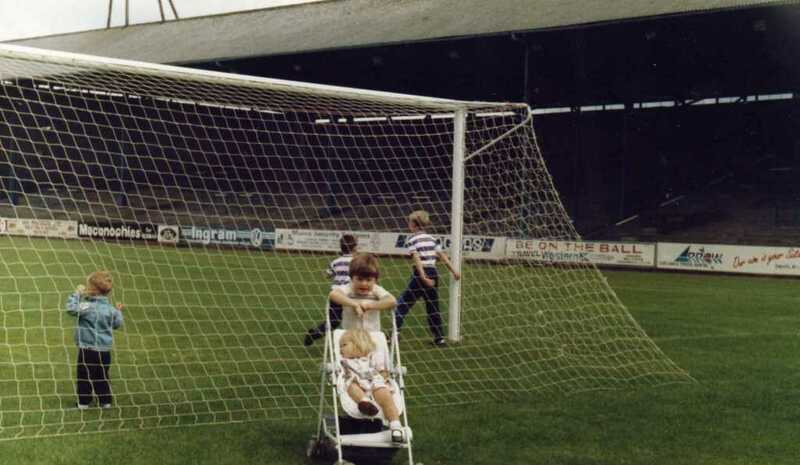 Other stadiums have a similar design – for example Tynecastle’s Roseburn Stand, although there is considerably less space there. 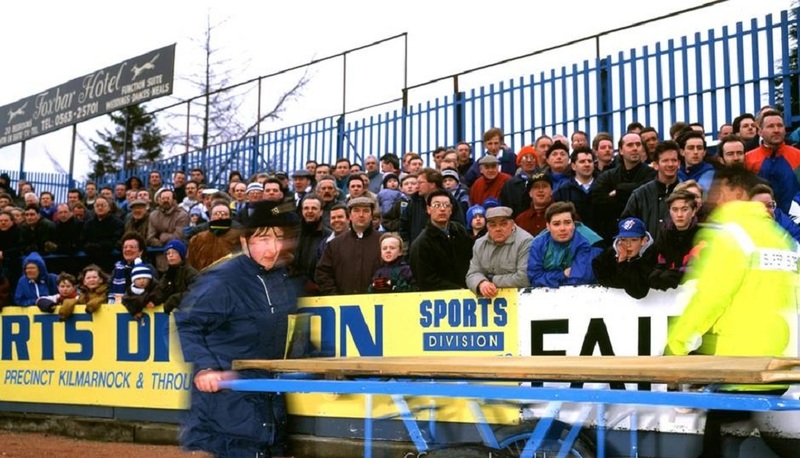 One advantage is that since the public smoking ban has come into force it has been possible for fans to stand in the open areas at half-time for a cigarette. 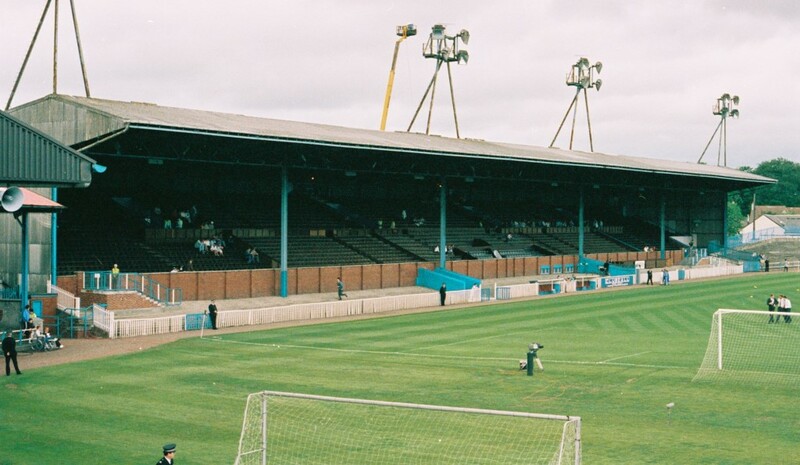 The East Stand is distinctive in appearance as it does not cover the full length of the pitch, tapering before ending around 15yds before the extremity of the pitch. 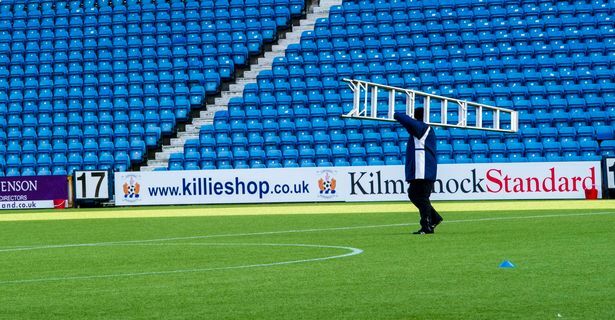 This is because the ground behind the stand is residential, and can not be built on. 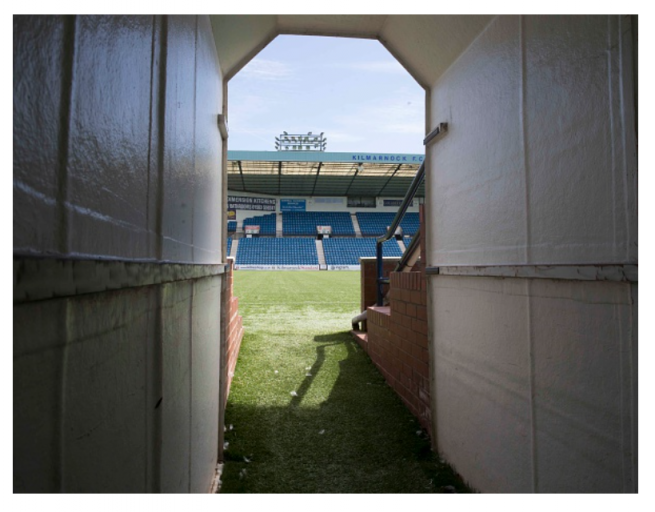 However, the gap is not as large as a similar truncation at Fir Park, for example, and is filled by flags.